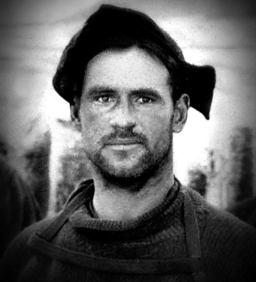 Tom Crean, a native of Annascaul, served on three Antarctic expeditions in the early 1900s. 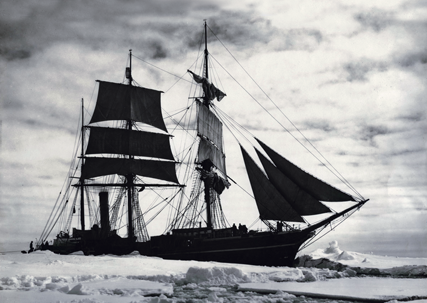 What drove him to risk his life repeatedly in the most desolate place on Earth? 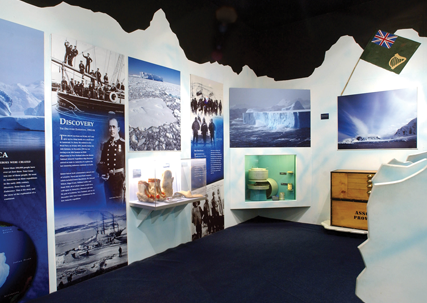 We can only guess at his motives but a trek through our award-winning Antarctica Exhibition will reveal how he, and his fellow Polar explorers, survived terrible dangers and endured shocking hardships. 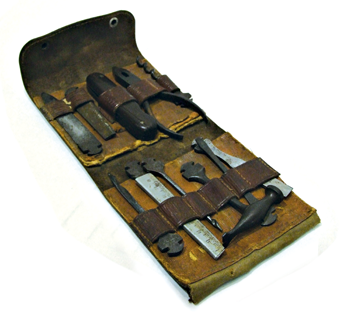 Sledging tool-kit – that belonged to Patrick Keohane, another Irishman on the Terra Nova expedition. A vital piece of equipment for running repairs on the journey towards the Pole, all of the tools, aside from the pliers, could fit into the one handle, maximising the use of space. 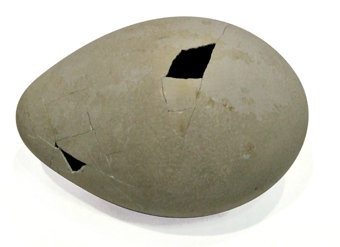 Emperor Penguin egg – In the winter of 1911 Wilson, Bowers and Cherry-Garrard made a gruelling journey to collect Emperor penguin eggs from the penguin rookery at Cape Crozier. 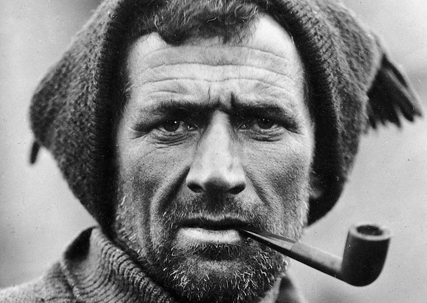 They man-hauled two sledges in total darkness, in temperatures as low as -60ºC. All three were badly frostbitten by the time they returned to Cape Evans in late July. 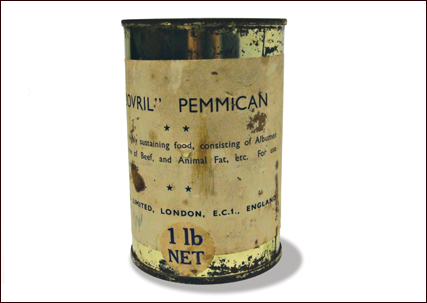 Shackleton’s plum pudding ration bag – Scott, Shackleton and Wilson celebrated Christmas Day on their first exploratory trip in 1902, despite suffering from exhaustion and scurvy. 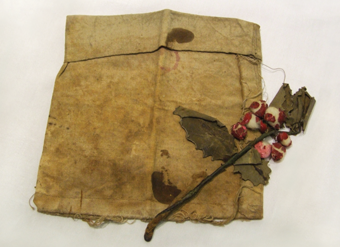 Shackleton produced a miniature plum pudding which he had carried secretly in this ration bag in the toe of a spare sock, complete with a crumpled sprig of artificial holly. 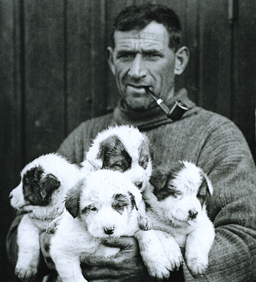 Dog lover Tom with four pups – Roger, Toby, Nell and Nelson – born on the Endurance shortly before she broke up on the ice. 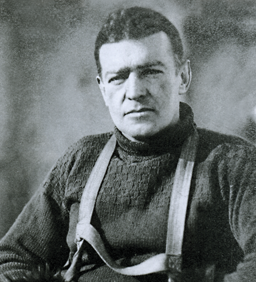 Kildare native and polar explorer Sir Earnest Shackelton had a deep respect and trust for Crean. 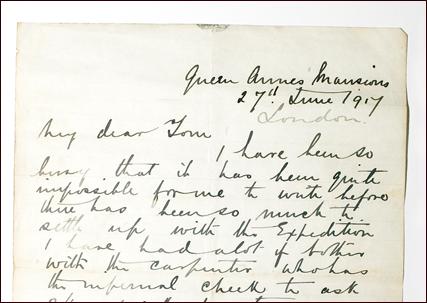 Tom was, in his words, “trumps”. 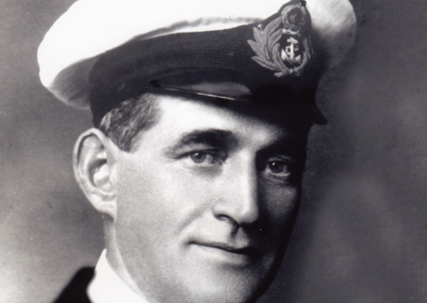 Lieutenant Teddy Evans, whose life Tom helped to save. 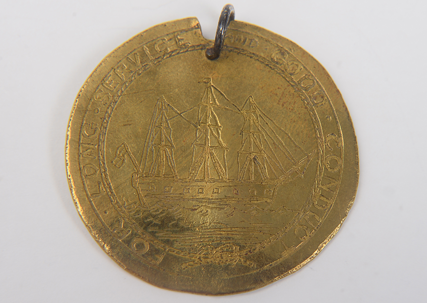 Crean’s heroism was rewarded with the Albert Medal.